Horyou 1.15 – What’s New? Thumbnails You asked for it — it’s here! 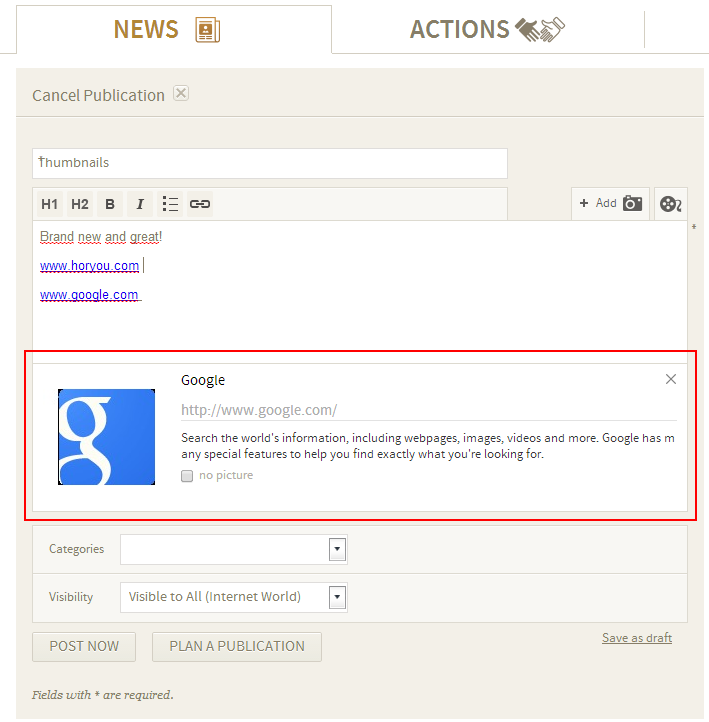 From now on, when you share a link within your post, a preview thumbnail will be automatically added. Adding multiple links? Delete the preview automatically added and then add the link you’d like to use as a preview. Whom do I follow? When you browse on My Sphere, you’ll know see a column on the right showing you the people you’ve chosen to follow. It’s also a quick way to see with whom you have exchanged Lights. A brand new way to filter content It’s a discreet little button, but it’ll soon become your best ally to find content you light on Horyou! 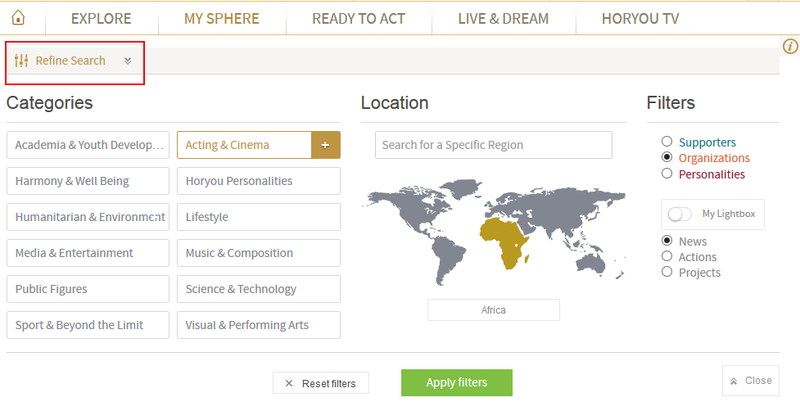 The filter tool has been completely redesigned and is now more useful and richer than ever. Follow your curiosity and browse content from all over the world! Search engine improvement After receiving feedback from users using accent marks in their searches (hello, France 🙂 ), we’ve improved our search engine, which is now ready to give the best results for all your requests (oui oui!). Horyou is still on beta, so we’d like to hear from you. 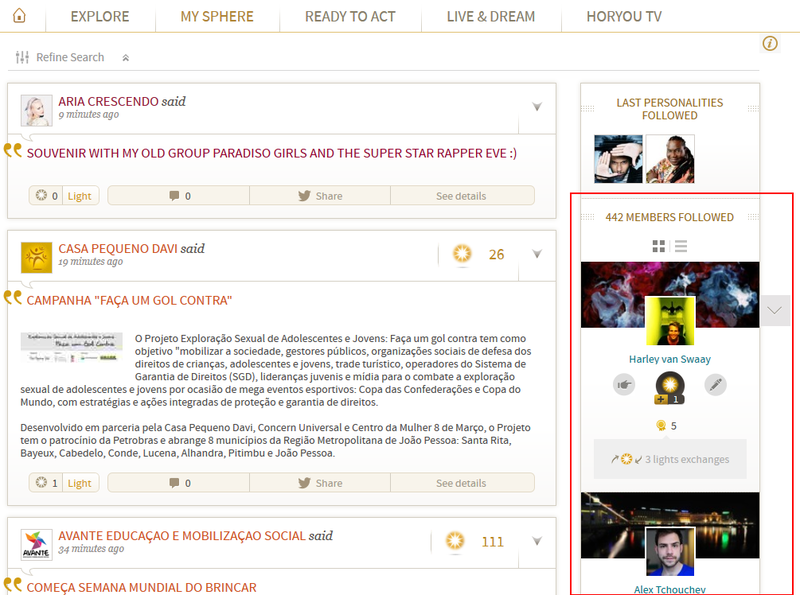 Suggestions, functionality you’d like to see, questions … feel free to send us your feedback at support@horyou.com. See you soon and enjoy!